First time presented for sale, in over a quarter of a century, is a solidly built two bedroom single level residence nestled in a select block of only four. Whilst well maintained, the property presents in original condition and offers excellent scope to modernise, add your own style and make the most of it’s larger than usual internal and external spaces. 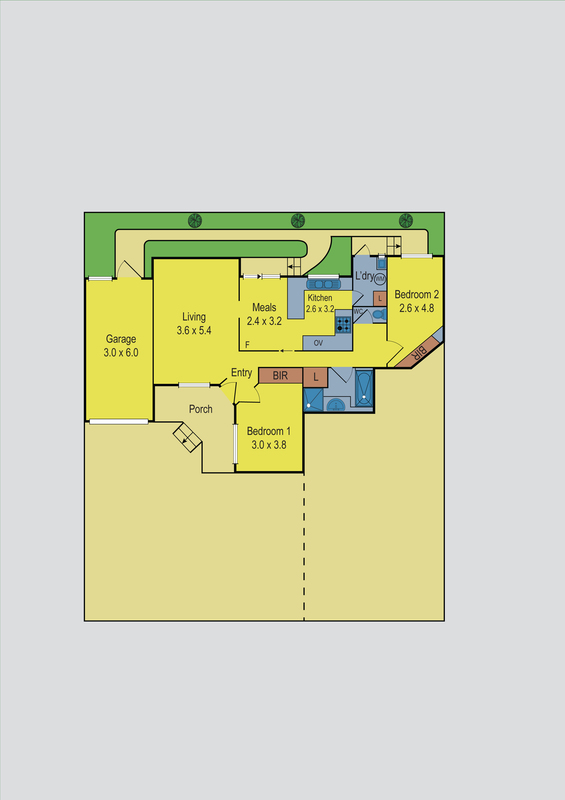 Third in line, it features welcoming front porch and low maintenance rear courtyard enjoying a northerly orientation. Inside zones include spacious living room, with large glass aspect, and bright kitchen/meals with glass sliders spilling to the courtyard. An open plan kitchen displays gas cook top, wall oven and ample timber cabinetry offering plenty of storage. There are two private bedrooms, both have built-in-robes. Extras include central bathroom, ducted heating, hallway storage, laundry/storage, security doors and garage with courtyard access. Conveniently located, steps from Keilor Road trams, buses, North Essendon Village cafes, restaurants, supermarkets and schools, it’s also close to airports and CityLink.